This is an incomplete list of the tallest structures that are built in the former Soviet Union. 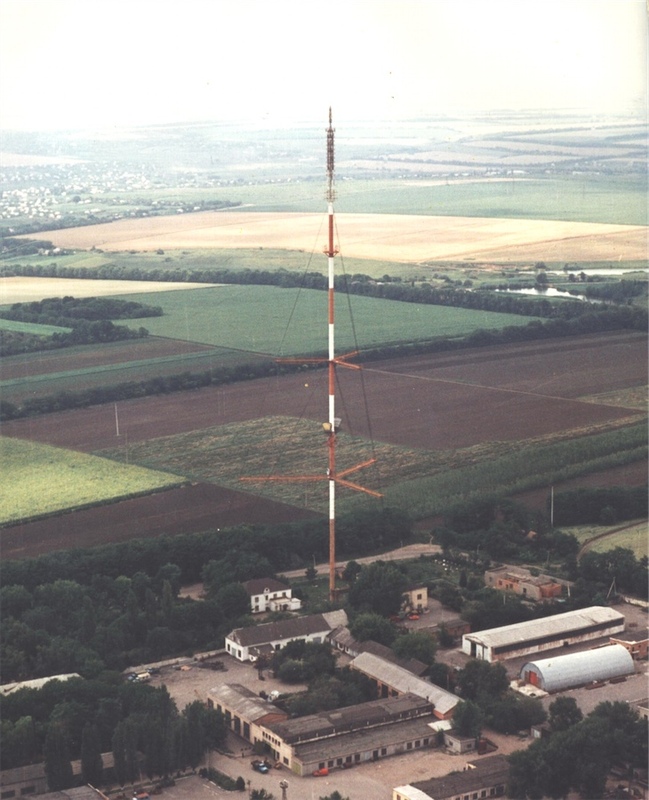 Ust-Kalmanka TV Mast 1979 Russia Ust-Kalmanka 350 m (1,150 ft) Guyed mast 52°09′51″N 83°18′08″E﻿ / ﻿52.16417°N 83.30222°E﻿ / 52.16417; 83.30222﻿ (Ust-Kalmanka TV Mast)? If one could find out the height of the mentioned structures, then put them in the upper list, if the height is greater than 250 metres. There are several types of tall structures, which were either only or mainly built in former Soviet Union. Skyscrapers built during Stalin's last years (1947–1953) in an elaborate combination of Russian Baroque and Gothic styles (see Seven Sisters (Moscow)). Similar buildings less tall were built in several other cities in former Soviet Union. Between 1960 and 1965 in several cities in Russia and Ukraine guyed masts with crossbars running from the mastbody to the guys were built. All these masts, which are known as 30107 KM, are exclusively used for UHF-/VHF-transmission ( mainly FM-/TV-transmission) and have a closed tubular mast body. Vladimir Shukhov built between 1900 and 1930 several hyperbolic lattice towers for different uses at several places. This page was last edited on 19 November 2018, at 19:26 (UTC).